JMS Alesia themes has been purchased 24, rating: 2/5 based on 3 reviews. JMS Alesia is a Shopify theme for great fashion which was developed by Joommasters. This is a beautiful, unique and clean design. With over 14 layouts you can easily select the most suitable theme for your online store. In addition, Alesia is equipped with a variety of powerful and flexible modules, which improves the customer experience and creates customer satisfaction. In addition, Alesia is based on CSS 3 and HTMl 5, which are the most advanced technologies. 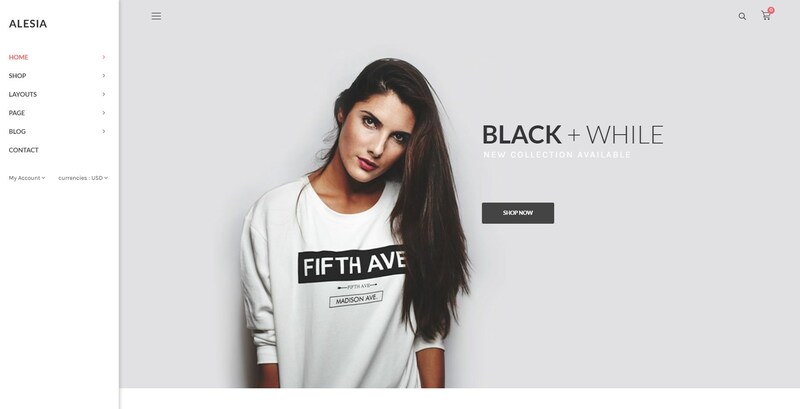 Discover and experience the JMS Alesia Shopify theme now!